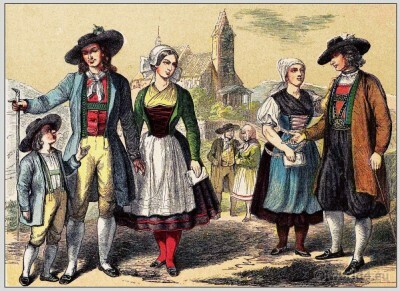 Home » Costumes of the Habsburg monarchy. This costume drawings are characterized by an extraordinary wealth of details. 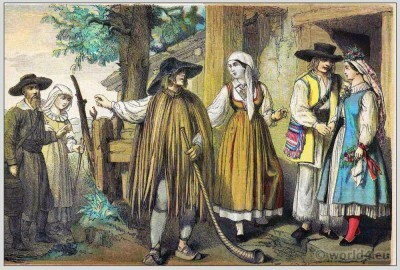 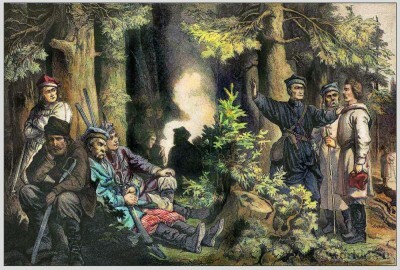 The illustrated costumes and their characters are involved in a stylized braid of everyday situations. 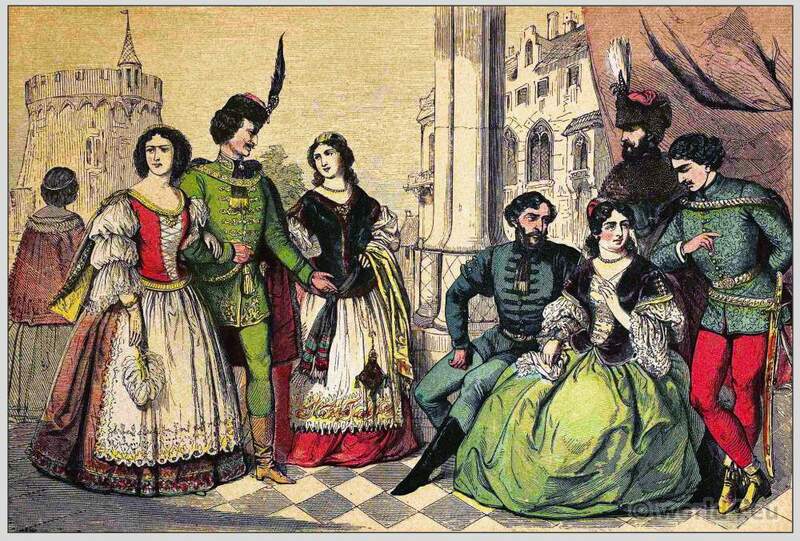 The drawing quality reflects the original vitality of his characters with rare realism, sometimes seems like old medieval painting. 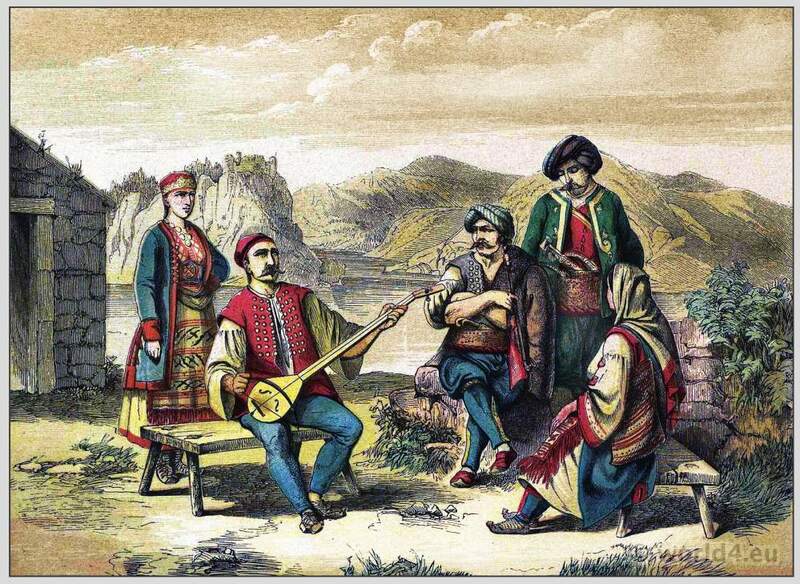 It’s a pleasure to discover the sophisticated details. Originally published as a children’s book in 1896. 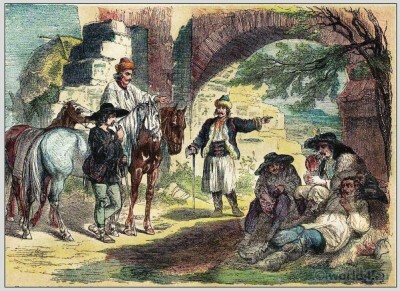 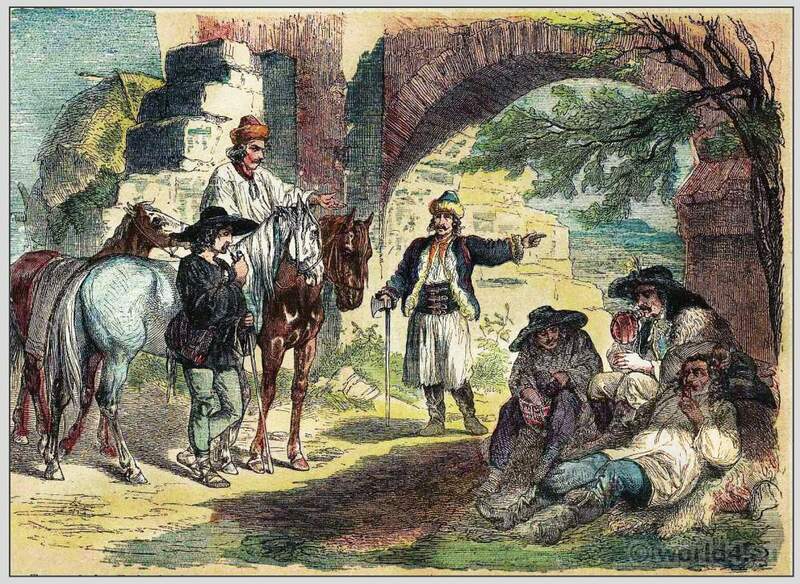 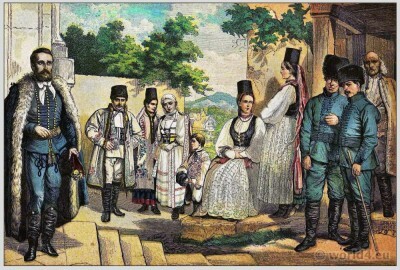 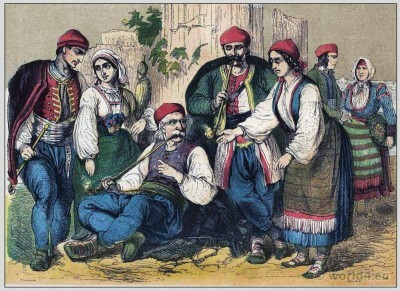 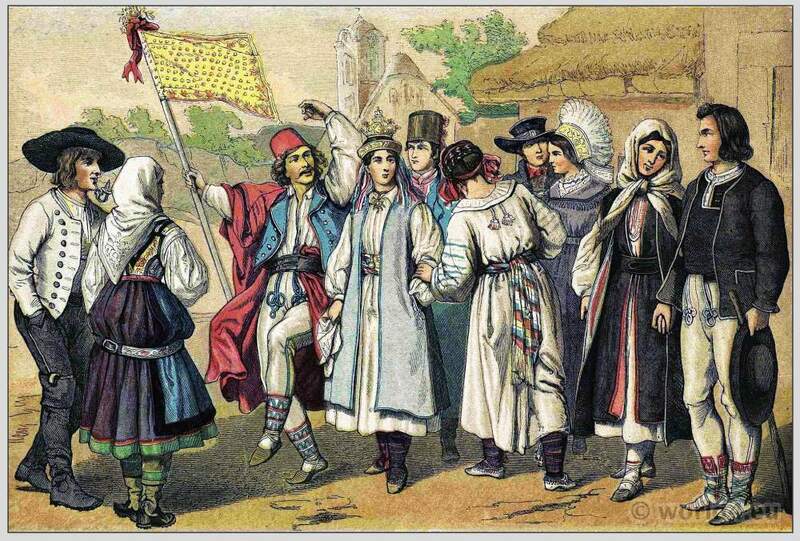 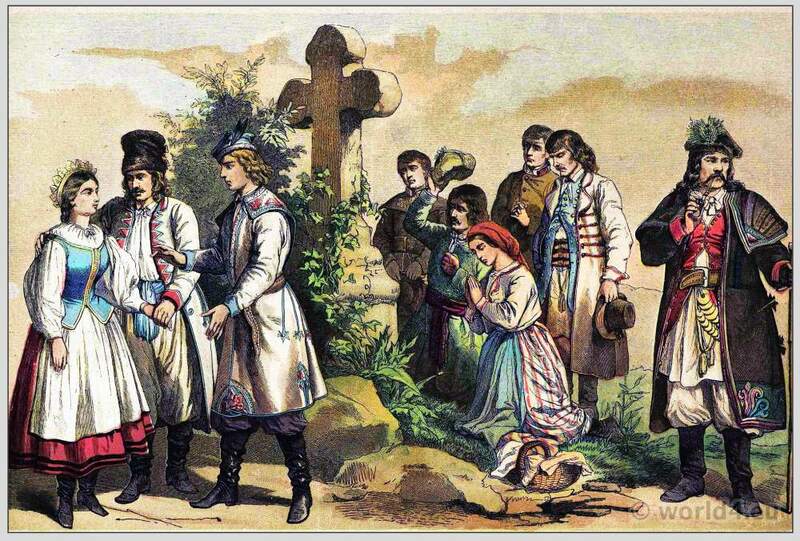 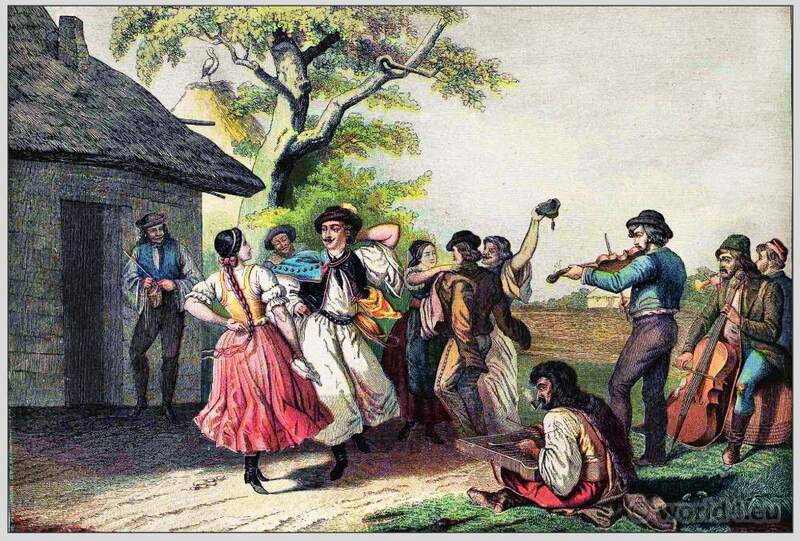 Folk costumes of Maurowalachen, Morlakian peoples from Dalmatia. 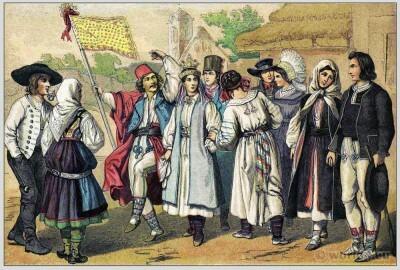 Folk costumes of Hungary, Magyars, dancing the Czárdás. 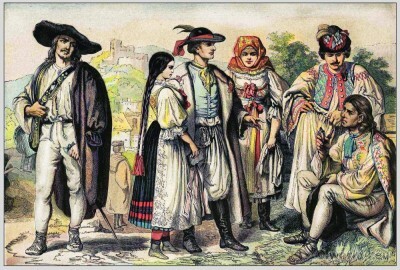 Folk costumes of Transylvania, Romania.